So the East London Line extension was finally here, after years of waiting, right here in Crystal Palace! At last we could visit our North London friends, mired in Dalston, labouring under the misapprehension that Crystal Palace lay somewhere vaguely between Calais and Morocco. We decided that we'd be on a train on the historic opening day, May 23rd, riding one of those sleek air-conditioned beauties right to the end of the line. And this is when the plan hatched. Ever since moving to London - in fact, even before - we've loved walking around the city, discovering its gems and carbuncles. 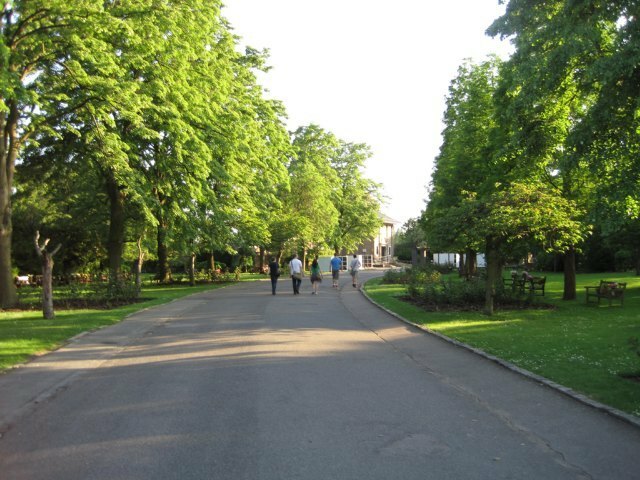 A walk through London - an Urban Ramble - forces you beyond the immediate, familiar, environment of tube and train stations. It shows the connective tissue around these pulsing arteries - what London looks like and feels like, and sometimes, yes, what it smells like. 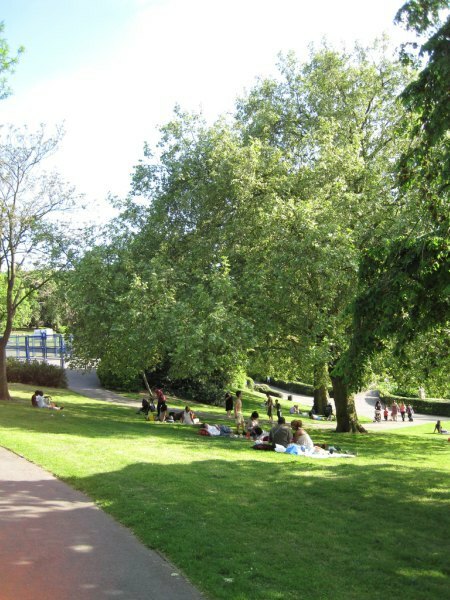 This would be the perfect opportunity - take the new train to Dalston Junction, and ramble all the way back to Crystal Palace with a ragtag bunch of fellow urban ramblers. We'd follow the route of the Line - join the dots of those stations only glimpsed through carriage windows. 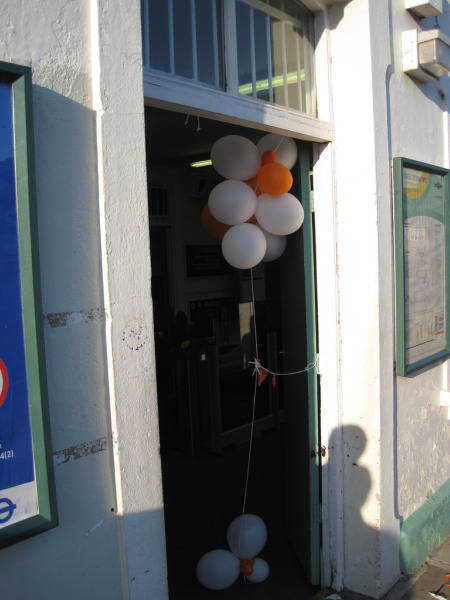 There was a real sense of anticipation that morning as we were welcomed into the station by an arch of orange and white balloons (the colours of the overground). As we found later, almost all the stations were sporting balloons, and full of commuters thrilled by their shiny new line. We had to run to catch the train in time, slipping in as the doors closed. The train pulled away and we marvelled at its open-plan splendour as we were whisked, slightly giddy, through southeast London. We passed under the Thames and went overground, a (low-flying) bird's eye view of the A10 greeting us as we sped north. Thirty-five minutes and we were in the heart of Dalston, five minutes after that, supping babbacinos at Cafe Oto. Thirsts slaked by frothy milk, we began our ramble, faces set sternly against the sun's beauteous blaze. 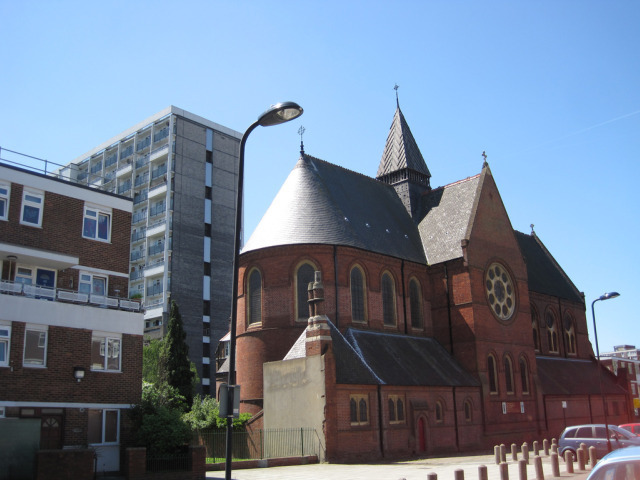 The simplest way to follow the line would be to walk straight down Dalston Kingsland road - but the idea of doing so in the midday sun really didn't appeal, and so we contrived a parallel route that would take us through the shadier backstreets of the northeast. 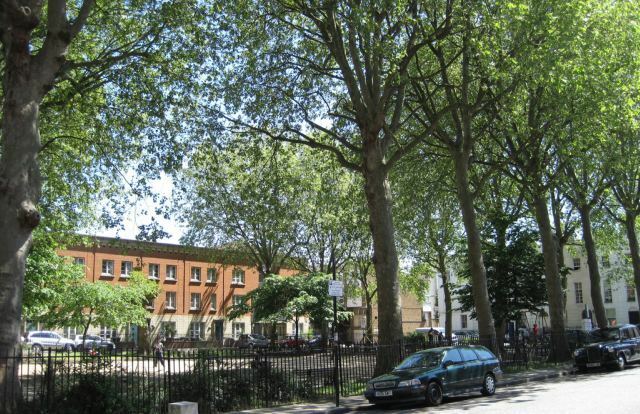 One of the first things we learned about urban rambling in London was to take the rough with the smooth, and never was that more relevant than in Dalston, where we almost immediately crashed the borders of gentrification into some not very picturesque blocks of flats. 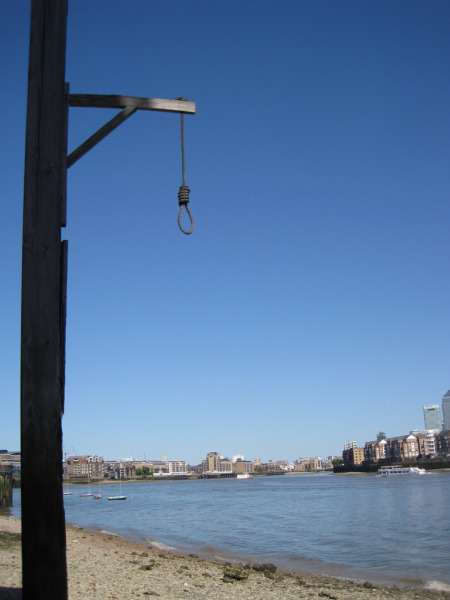 Certainly not the sort of locations top of your list when planning a Scenic Tour of London, at least. Our rambling group formed quite a big phalanx at this stage, so when three big men with two big dogs asked, not unreasonably, "Where have you all come from? 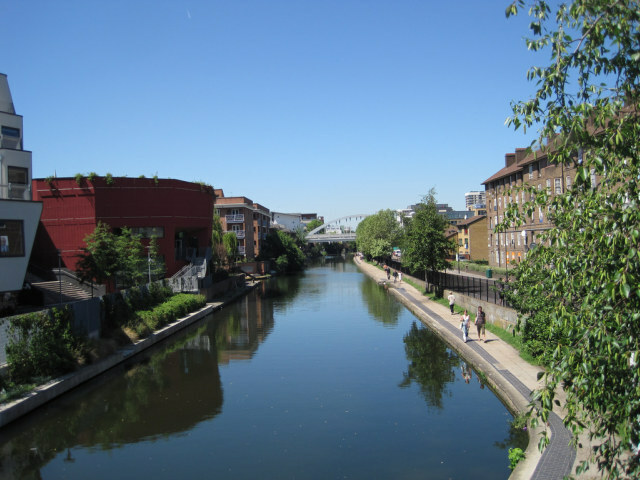 ", we could only say "Oh, just Dalston Junction" in a middle-class singsongy sort of way and walk as confidently as possible into the sunshine. 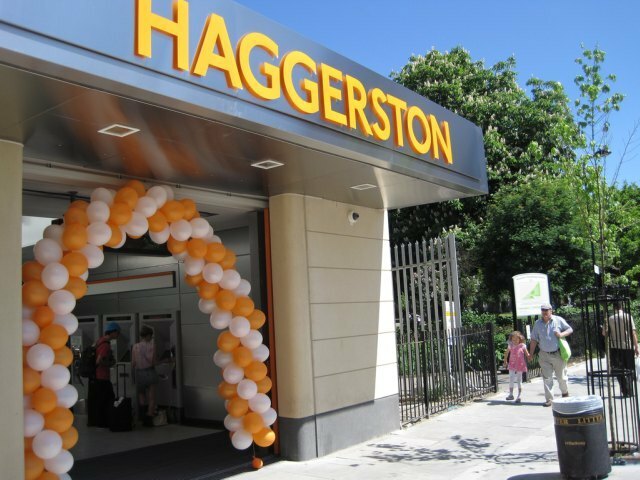 As we passed through Haggerston and into Hoxton, we started to see more brick and less concrete, and crossing Columbia road, we were cheered by the flocks of greengrocers and Sunday shoppers on the doorstep of Shoreditch station. 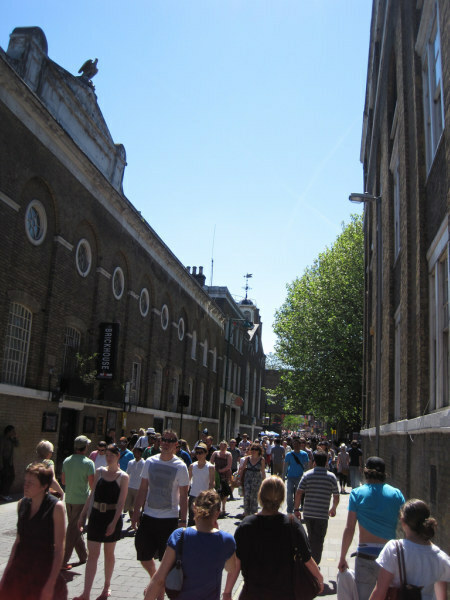 Our route took us right down Brick Lane, packed with Londoners enjoying the sun and the now-legendary aromas wafting around the street. 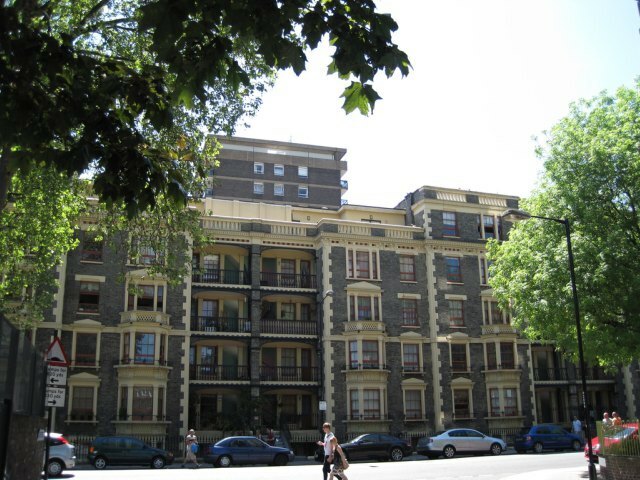 Walking in London can sometimes feel like travelling in time as well as space, and approaching Whitechapel, we were stepping further into the last century. Whitechapel Road, full of Market stalls and bustle, felt distinctly 1900s (modern automobiles, omnibuses and generic fried chicken shops notwithstanding). In Shadwell, grand Victorian warehouses multiplied, until Wapping saw them looming over every street. There was no way to cross the Thames on foot here, so we compromised and took the train one stop - our only bow to modernity on this ramble (well, that and sunscreen). The line under the Thames is anything but modern, built in 1843 and used as a foot tunnel until 1865, when prostitution and mugging got out of hand. We decided that we didn't fancy much of either, and taking the train would be a better plan. Surfacing at Rotherhithe formed a real contrast. In Wapping, we had been hemmed in on both sides by the towering warehouses, but Rotherhithe was straight away more spread out, greener, less urban. 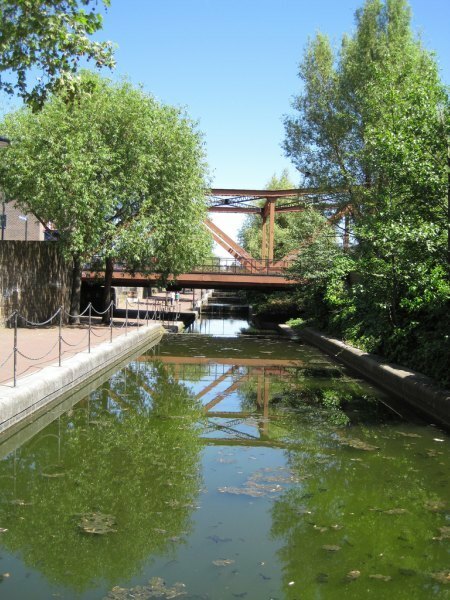 We followed the old Surrey Canal, now an ornamental water (the water itself a rather unhealthy green) down to the old dock at Canada Water. 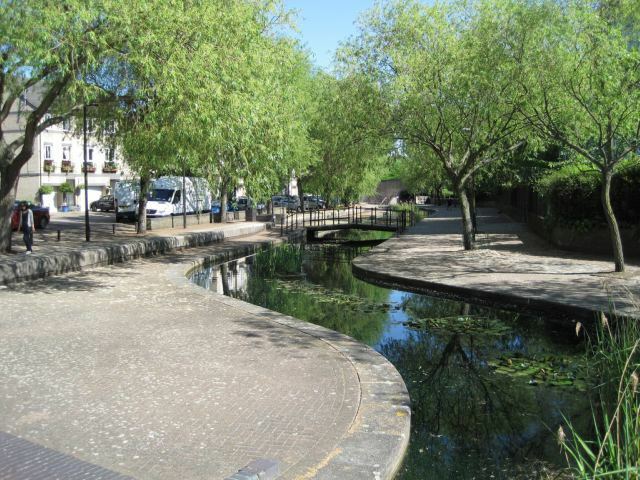 Its prettiness couldn't entirely disguise the "new town plonked in the centre of London" vibe. In crossing in Thames we'd travelled from 1860s industrial hell to the 1960s shopping centre heaven of Surrey Quays. So, on we strode, sun beating down as we passed Millwall Stadium and the ragged charm of New Cross Gate, up onto Telegraph Hill, where we stopped to admire the view of, well, Millwall Stadium. 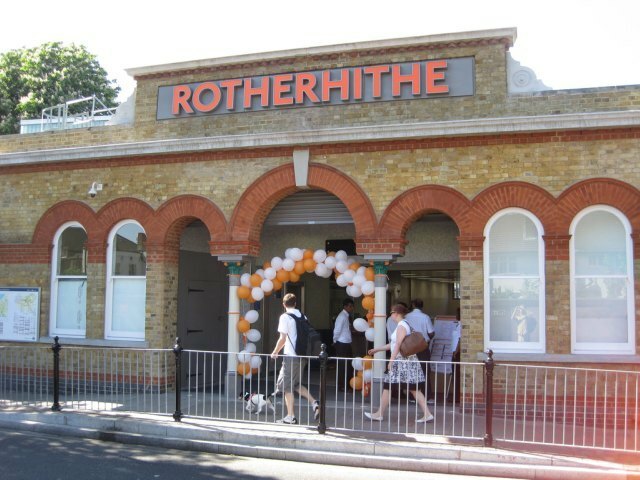 By the time we reached Brockley, the station's birthday balloons were looking decidedly dilapidated. Honor Oak Park had only a token clump left, and in Forest Hill we saw children playing with bunches which benevolent staff had given away as the last shreds of the day's celebration. Camberwell New Cemetery had been peaceful and shady, but we'd also spent mile after mile baking on suburban streets, and the heat had taken its toll. As we approached Sydenham, the soothing effect of our "Ramblers Friend"-brand talcum powder was the only thing coming between us and abject failure. 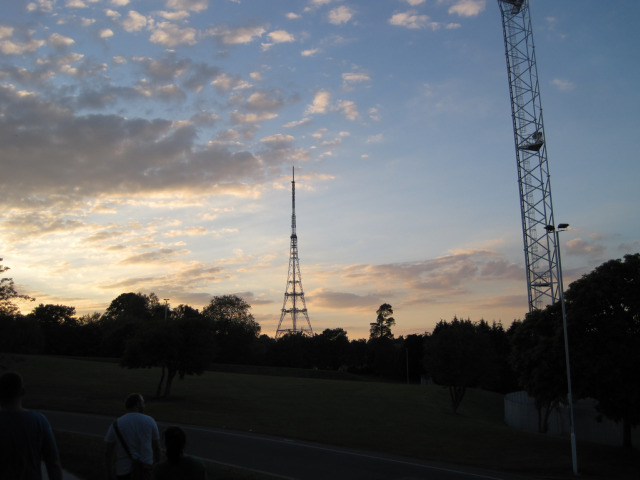 But, as we took the final steps of the ramble, limping through a balmy Crystal Palace Park under a setting sun, we felt a real sense of achievement. We'd celebrated the new line with all its convenience and marvelry, while asserting the dominance of the humble foot over the modern machinery of the 21st Century - a simultaneous triumph of gleaming technology and bloody-minded ludditism. So what next? Well, we dragged ourself up Anerley Hill to the pub, buoyed by the knowledge that we wouldn't have to walk 13 miles the next day, and settled in for the night. And as for next year... Crossrail, anyone?